HomeFlashbackOlympus is the King of Innovation (Video). Olympus is the King of Innovation (Video). If you saw my post yesterday I shared a recap of some of my favorite Olympus lenses for Micro 4/3. Today I made a video to accompany that article, enjoy! I would agree about Olympus having a great system. It is interesting to see how Sony’s designs converged with Olympus over time. However, it is flogging a dead horse to maintain the the m43 20MP sensor will be as “good” as a 20MP or 46 MP Sony FF one. Sensible people do not maintain such a thing, but the point is does it matter all that much in practice? The m43 systems can make up for most high ISO issues because it has smaller, excellent, fast lenses that do not need stopping down to get the depth of field required for many (most) shots. This means you are much less constrained by low light than many think who have only used FF. If you ARE constrained by very low light and the need for high shutter speeds (e.g. basketball) then m43 will be less successful, but if you don’t have that requirement then m43 is fine. Of course if you pixel peep a FF or and APS file it will be better – whether it is a problem is not so clear. Given the ergonomics, quality, price and range of available m43 lenses, you have to ask whether you are primarily a photographer or a pixel peeper? I pick the former. I am looking forward to dumping my FF system, but since I am shooting sports I currently still need a camera that is good at ISO 6400+, but as soon as this is no longer a requirement, or the sensors improve (EM1X anyone? ), then I will be delighted to fully convert to m43. With the exception of Leica, I have shared Steve’s taste in camera brands over the past 10 years. I still love the images from my Oly cameras but when I bought my first Sony (a7s) those smaller sensors just stopped leaving the house. I shoot strictly available light and now with my a9 I feel prepared for absolutely anything. Maybe there is no cure for G.A.S., but after almost 2 years, I still don’t see anything that makes me want to to upgrade. I can see Steve’s point about Canon color but the R is not ready for prime time and I’m not carrying a DSLR ever again. Besides, presets throughout my workflow have made native camera color a moot point. I have both, and is not much better as you say. Only noise is better. Large prints of both are close to identical, and post-processing is much easier from Olympus files. Oh, you did not include the 12-100/4 Pro!? May be a bit too big, aha! I just do not own it. Lovely lens, but never did buy one. There are a number of articles and videos explaining how image quality does not depend (directly) on sensor size, but on the diameter of the pupil (aperture) of the lens (the physical diameter, not the f-number). If you divide the focal length of the lens by the f-number, you obtain the diameter of the pupil. For example, dividing (the Sony) 85mm by 1.8 you obtain a diameter of 47mm, or 4.7cm (that’s the physical size of the aperture); dividing (the Fuji) 56mm by 1.2 you obtain a diameter of 4.7cm; dividing (the Fuji) 90mm by 2.0 you obtain a diameter of 4.5cm; if you divide (the new Sigma) 56mm by 1.4 you obtain a diameter of 4.0cm. In contrast, if you divide (the Canon) 35mmm by 1.4 you obtain a diameter of 2.5cm; and if you divide (the Sony) 28mm by 2.0 you obtain a diameter of 1.4cm. The diameter of the pupil (of the aperture) determines HOW MUCH LIGHT hits the sensor, regardless of sensor size. This, in turn, determines depth of field, dynamic range, and noise. Therefore, the Fuji 90 and the Fuji 56 produce THE SAME depth of field, noise and dynamic range wide open at the same shutter speed, even though the 90mm focal length or the 1.2 aperture of the 56mm would suggest otherwise. Similarly, an Olympus E-M1 II with the Sigma 56mm 1.4 would produce BETTER dynamic range, noise and more depth of field than a Canon 5D IV with the 35mm 1.4 or the Sony 28mm 2.0 IF YOU USE THE SAME SHUTTER SPEED. 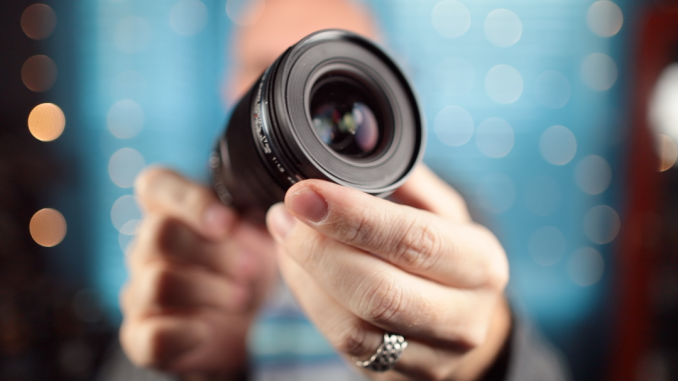 Full frame sensors generally produce better IQ than m43 sensors not because of their size, but rather because lenses with larger focal lengths and larger apertures are more common in full frame. In this case, FF is not inherently better than m43, it is just that until recently there were few m43 lenses with 1.2 and 1.4 apertures. With the Olympus PRO lineup, with the Sigma and with the Olympus 75mm or the Nocticron it’s a different story, specially compared to not-so-fast APS-C and FF lenses. Besides, the fact the m43 cameras have great IBIS is a plus, since you can let more light in with slower shutter speeds than, say, a Fuji or an APS-C or FF DSLR. IQ for me is #1, the LENS. Keeping it simple, the sensor is the canvas, the lens is the brush. Your processing is the paint. Sensor size DOES Matter when it comes to IQ in many ways. Depth of Field, Noise Levels and Dynamic Range. These three things are all a part of IQ. Smaller sensors are not as good as larger ones in these areas, so a micro 43 will never perform like a full frame in very low light, thus giving you much worse IQ in these scenarios. Even with these f/1.2 lenses I can not shoot my Micro 4/3 in low light clubs as I do with the Canon or Sony or Leica’s. I don’t know what this guy is smoking, but…No. I used to shoot and love my Olympus gear. I had two E-M1 bodies and basically all of the lenses worth having. My favorite lens was the 25mm Pro f1.2, with an honorable mention to the 75mm f1.8 (was just gorgeous when the working area permitted the focal length). Never did love the 12-40 Pro, but it was a workhorse and built like a tank. Now I shoot with an a7iii and I’m sorry, but the image quality is not comparable. The dynamic range is not comparable. I did love the images I got with the Olympus and Sony’s build quality doesn’t even come close, but there’s no contest when it comes to IQ–you can’t beat physics. I’m constantly blown away by the clean detail I can pull from shadows with the Sony. That was always missing from the Oly–and even shooting with the excellent HDR modes for landscapes, it just still left that little bit to be desired. I will mention that I did shoot briefly with an a7ii and I did not love that camera. Far less inspiring to use than the Oly. Even with the IQ compromise, I would take the Oly over the a7ii all day. In fact, I do miss trekking around with the Oly and the 25mm, but it doesn’t hold a flame to the a7iii and the 50mm f1.4. Certainly more affordable though, and a joy to shoot with! It’s a shame the EM1ii was priced so high, that’s actually what drove me away in the first place. Great video, Steve. This autumn, when the Z6/7 and the EOS-R were introduced, I spent a few days juggling all the pros and cons of possibly “upgrading” from my E-M1mkII kit. Instead of switching systems, I bought the Olympus f/1.2 trio. What a huge upgrade to my kit. There isn’t a low light situation I can’t handle, with the possible exception of fast moving subjects in low light. Wonderful lenses, of course. But also needed to equalize the shortcomings of the small sensor. They boost the ability of shooting in the dark in a very good quality it seems. That’s why I’m looking at the development of the Olympus System. There are one or two lenses like the 24-100mm and the 300mm i don’t find at the Fuji System. But be careful when comparing lenses to the full frame system. I think the Sony 400mm totally smokes the Olympus 300mm. Especially when it comes to lowlight or even a dull afternoon, it is hard to beat a 2.8/400 for any lens at any System. The bokeh and the rendering is just unique. next time, maybe a little less bokeh-soup? Olympus *was* the king of innovation with the original PEN (2009) and OM-D E-M5 (2012). However, probably due to an internal executive-level mess, they just let Sony run away with that innovation and finish the job. The Sony A7 (2013) was the natural evolution of the OM-D. The A9 and A7 III (2018) were the slam dunk that forced literally all other camera manufacturers to follow suit (most notably Canon and Nikon). That’s innovation. Olympus started it and then somehow dropped the ball around 2012~2013. I think many here will agree that investing in m43 today would be madness. Well, there is nothing in the A7III that Sony innovated. The 5 Axis IBIS, came from Olympus. Swivel LCD, Olympus. Live View? Olympus. High Res Shot? Olympus. Sensor cleaning? Olympus.The moral of this story is Olympus has created most of what you see in todays digital cameras. The A9 has innovation, with its no blackout EVF, crazy FPS, etc. But Olympus has created most of the big innovations that we use today in most of these cameras. Yes, beautiful and refined lens. They seemed a little bulky for my Pen-F but I am reconsidering. I really like my Pen-F with the 17, 1.8 (with the manual clutch) especially. It is too bad the the 25, 1.8 or the 45, 1.8 don’t have the manual clutch. Great review as always. Thanks.